What comes first, bullying or obesity? Kids are back in school and the grim reality of bullying resurfaces, as it does every year. More than 30% of youth are bullied in Canada and for 10% of them, it occurs every day. A new study published in Developmental Science, conducted by Professor and Canada Research Chair Tracy Vaillancourt and Postdoctoral Fellow Kirsty Lee from Counselling Psychology, Faculty of Education at uOttawa, revealed that the Body Mass Index (BMI) increased following bullying victimization and this effect was unrelated to initial BMI status. The study followed a Canadian cohort of 631 children over a period of 7 years and found that being overweight or obese did not increase the risk of being bullied. Instead, youth gained weight as a result of being repeatedly harmed by their peers, and the effect was stronger for boys than for girls. Lee and Vaillancourt also found that being bullied in childhood had an indirect effect on future weight gain via body dissatisfaction. Body dissatisfaction refers to the negative thoughts and beliefs about one’s body. Throughout the 7 years of the study, being bullied consistently increased body dissatisfaction. This is the first Canadian and international cohort study that has consistently assessed youth every year with continuous measures from age 10 to 17. This allowed the researchers to control for all prior associations between bullying and BMI, as well as important confounding factors, such as socioeconomic status and ethnicity. Peer victimization increased the risk of excess weight gain in girls and boys (but more strongly in boys). Bullying increased the risk of body dissatisfaction in girls and boys (but more strongly in girls). Body dissatisfaction played a key mediating role in the association between peer victimization and increased BMI. 1 in 3 children in Canada are overweight or obese (i.e., have a BMI above 25),Most previous research suggests that children get bullied because they are overweight, but this new research by Dr. Lee and Dr. Vaillancourt highlights that excess weight can be the result of adverse childhood experiences such as bullying. Being overweight or obese can affect educational attainment in childhood and is associated with a host of health problems in adulthood (e.g., diabetes, heart problems, cancer). As excess weight and obesity are often stigmatized, we should be more sensitive to the difficult peer experiences that led to weight gain among some individuals. 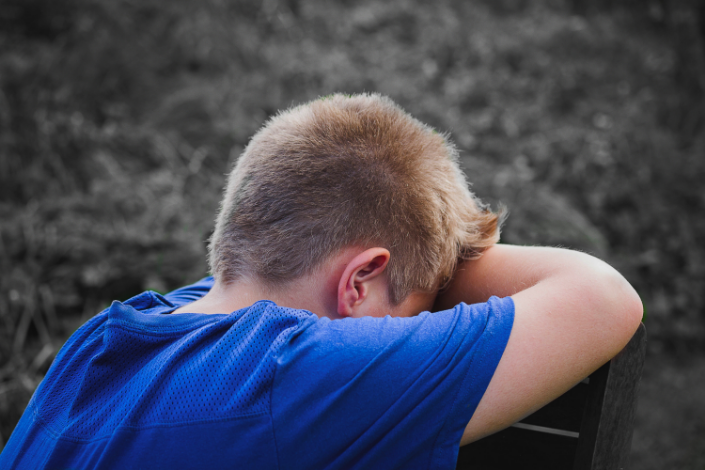 Signs that your child is being bullied include fear or anxiety about going to school, complaints about feeling unwell, nightmares, negative comments about his or her appearance, and excess weight gain. If you are concerned about your child’s safety at school, you are encouraged to contact your child’s principal.